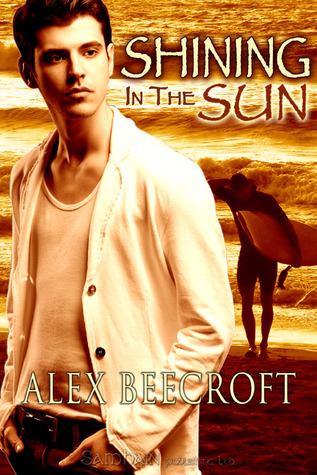 Alex Beecroft's M/M Shining in the Sun is a good example of when Romeo & Juliet (or, in this case, Romeo & Romeo) works. Despite generations of heart-sick teenagers taking Romeo & Juliet as a blueprint for "success," Shakespeare likely meant it as a cautionary tale--directed more at the parents than the teens. Nevertheless, Romeo & Juliet remains the classic example of love-against-all-odds. Variations on the seminal couple show up all over the art world (and did before Shakespeare). Sometimes the relationship ends in accordance with its most celebrated example: lots of death. Sometimes it ends with sacrifice and acceptance (Casablanca). Sometimes it ends with an utter lack of realism. And sometimes, if handled correctly, it ends with a sweet, romantic resolution. 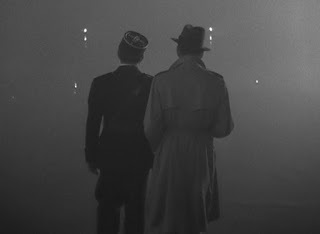 The first two are not the focus of this post (despite Casablanca being a great movie). The focus is the last two: what separates the positive romantic unbelievable ending from the positive romantic believable ending. The difference lies in acknowledgement of the accompanying problems. The Romeo & Juliet trope rests on the premise that two people from opposite sides of the tracks meet and fall in love. Maybe their families are enemies. Maybe one is a liberal and one is a conservative. Maybe one is poor and the other is rich. Maybe one is a spy and the other is his/her mark. 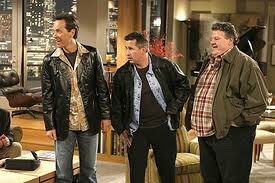 brothers and still wants to marry her. The tension arises from (1) outside forces stating, "You must not be together." And (2) inner forces stating, "I don't really get you." Unrealistic Romeo & Juliet tales focus only on (1) rather than accepting that (2) will have impact. That is, people cannot be instantly stripped of their familial/cultural/monetary expectations. There is a reason that most people do, in fact, marry within their "class" (even in America). It is less popular to admit to these realities than it was in Austen's day. I argue that one reason Austen is so popular even now is that she verbalizes issues that have become taboo in our own culture (every culture has, as Tom Wolfe argued, its own Victorian Gent): the impact of money and background on relationships. 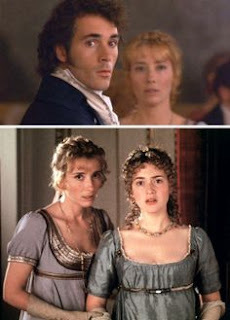 Elizabeth can argue fiercely with Lady Catherine de Bourgh that she equates to Darcy since she is a gentleman's daughter. Yet Austen never allows any of her heroines to contemplate marrying a farmhand or a minor clerk in an office (there were writers of her generation that did--Austen is not being naïve; she is deliberately narrowing her scope). Love conquers all within a specific social milieu. Again, Austen is not being prejudiced; she is being realistic. Money, where people want to live, how people want to live, their friends, their families, their social settings: all these things are factors in a relationship. To pretend they are not is to leave the door open for worse problems. Austen perfectly encapsulates these "worse problems" in Sense & Sensibility. At the end of the book, Willoughby--who married for money--regrets that he didn't marry for love. Elinor wisely reflects that if Willoughby had married her sister, he would have ended up resenting their mutual poverty. So how does a Romeo & Juliet tale end without the couple, in the long run, hating each other's guts because "you estranged me from my family . . . you buried me in poverty . . . you forced me to live in a horrible city/country/town . . . you prevented me from accomplishing what I could have accomplished . . . "
Beecroft's answer is for Alec and Darren to acknowledge, upfront, the stressful differences. When Darren has to meet Alec's well-to-do, Lady Catherine-like mama, he resents being "put on display" as well as the subtle ways in which the mama and the waiters at the fancy restaurant make him feel uncouth. Likewise, when Alec goes to meet Darren's grandmother, he is appalled by the woman's poverty. The latter scene is fairly brilliant. Darren wants Alec to meet his grandmother; Darren himself has always been impressed by how clean she keeps her tiny house; how hard to works to wear matching slacks and pullovers. Then he sees his grandmother through Alec's eyes. The house is clean but shabby (and lacking in basic amenities). His grandmother's dress is presentable yet threadbare (and Walmart cheap, not haute couture). He resents Alec for this new perspective. Both Alec and Darren have to overcome their judgments and resentments in order to move forward. Without an acknowledgement of these differences, Romeo & Romeo or Romeo & Juliet cannot move forward. Instead, the reader is left with the awful instinctual knowledge, "This relationship is doomed--even if nobody dies." Austen's Persuasion handles its Romeo and Juliet class differences through Mrs. Croft's monologue at the Musgroves. The tension here is between a squire's daughter (Anne is further up the social scale from both Elizabeth and from Darcy) and a captain from a gentleman's family. Since the Napoleonic Wars began, sailors have risen in people's estimation. 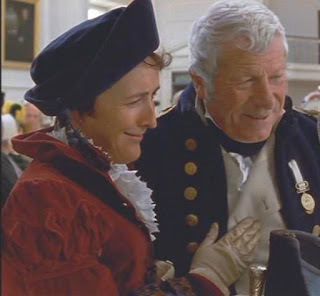 Several years earlier, Anne's albeit pompous father would never have deigned to address a navy man. Now, Anne and Captain Wentworth's courtship is acceptable. But there is still a sense of two people from two different worlds trying to find common ground. Would Anne truly be able to adjust to a non-manorial, sea captain's lifestyle? I have crossed the Atlantic four times, and have been once to the East Indies, and back again . . . and I can safely say that the happiest part of my life has been spent on board a ship. While we were together, you know, there was nothing to be feared. Thank God! I have always been blessed with excellent health, and no climate disagrees with me. A little disordered always the first twenty-four hours of going to sea, but never knew what sickness was afterwards. The only time I ever really suffered in body or mind, the only time that I ever fancied myself unwell, or had any ideas of danger, was the winter that I passed by myself at Deal, when the Admiral (Captain Croft then) was in the North Seas. I lived in perpetual fright at that time, and had all manner of imaginary complaints from not knowing what to do with myself, or when I should hear from him next; but as long as we could be together, nothing ever ailed me, and I never met with the smallest inconvenience.